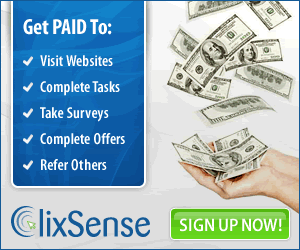 Are you looking for ways to earn a little extra money? People all over the world have taken to looking at unexpected ways to generate cash. A new up and coming way to do this is to rent out things you already own … stuff that you have, and someone else needs. Backyard: I bet you’ve never thought about renting out your backyard! Gamping or ‘Garden Camping’ is a new and ingenious way to earn money from your land. You can list your space for free, and decide if you want to let campers ‘bare pitch’ (bring their own tents, trailers, and motorhomes), or if you’re going to provide a fully accommodated, ready-to-camp experience. Boat: If you’re a boat owner, why let your boat sit in the dock (or in your driveway) while you’re not using it? With sites like Boatbound and Boatsetter, it doesn’t have to! You can rent out your boat by the day, earning you valuable extra money … or cash to help you make that boat payment! Boatbound makes it easy for you to get up and renting right away with peace of mind, as your boat is insured by one of the most trusted names in the industry, BoatUS. You set your own requirements and are always in control of who rents your boat. With Boatbound, you’ll have all the tools you need to manage your boat from a single account, and they securely handle all payments, depositing funds in your bank account within two business days after each rental. Boatsetter lets you build a profile which includes listing your amenities and setting your price … you can even choose a captain! Then they drive people to the website who are looking to rent a boat and connect you with interested parties. Boatsetter also lets you maintain 100% control of who rents your boat, you always decide whether to accept or decline a request to rent. They are also insured by BoatUS. Bike: Have a bike that spends more time sitting in the garage? Rent it out when you’re not using it and earn some cash! Spinlister is the global bike share that helps active people connect with trusted bike owners around the world. The steps are easy: List some details of your bike including photos. Renters will send you a request with a date and time for pick up that you can either approve, or feel free to suggest a different time. When the renter confirms and pays then they can pick the ride up. You’ll be paid by Spinlister after the rental is complete. Car: Why not earn money from your car when you’re not using it? Turo (formerly relay rides) is a good choice if you want to want to rent out your car to earn a little cash. There are several ways to earn money with Turo. You can conveniently rent your car out from your own driveway, deliver your car to guests at airports, hotels, and other local locations, or park your car at their lots to be available for extended periods of time. With a few clicks, your listing will be ready to go, just describe your vehicle and upload a few photos. You’ll be notified when someone requests your car and can decide whether or not you want to approve the rental. Then meet your guest and after doing a walk around the car, checking the fuel and mileage and their license, you can kick back and earn your profits! Getaround is another option for earning money with your car. While it’s similar to Turo, it uses a mobile app to connect potential renters and car owners, and after a free 30 day trial, costs $20 a month plus a one-time $99 fee to cover installation costs. Clothing: If you’re a fashionista with a closet full of stylish clothes, they could be earning you cash! Style Lend is an infinite, high-end closet where you can borrow designer items and lend your own pieces for cash. Unfortunately I couldn’t find much information about how to go about it on their website, but they do have an app available at the iTunes App Store that should explain more. Friend: Have you ever found yourself in need of some company, whether it’s to go to dinner and a movie, to a special event or party, or even just out for coffee? Well you’re not alone, so if you’re willing to be a friend to others, consider renting out yourself! RentAFriend is a site that allows you to rent local friends from all over the world. People in your area can search and find you if you’re willing and eager to make new friends. You can generally earn about $10 an hour but that’s also negotiable, depending on the activity planned. There could even be perks like free tickets, meals, and trips! You can join for free and upload your photos and create a profile so possible friends can find you. Contact is made through an anonymous messaging system to negotiate plans, price, time, etc. Home: Your home is something that you might not think about renting for money, but it’s actually become a quite popular option. People rent homes all over the world, and chances are, someone wants to visit where you live, too. House Trip is totally free to list your house and allows you to market your property to over one million travelers per month. 70% of House Trip hosts receive at least one booking request per week. Flip Key lets you reach 340 million travelers worldwide. Sign up is free and you pay 3% per booking. VRBO is easy and quick. It has reservation and management tools that will help you rent out your home efficiently and easily. You are always in control of who rents your home, as every inquiry and booking request comes to you. Photography Gear: Maybe you’re a photographer who already owns the latest and greatest gear but your schedule is a little empty and you’re stuff is just sitting there. Why not rent out your gear for money? Gear Peers is a site that allows you to do just that. 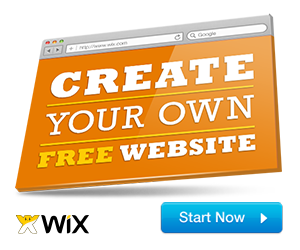 You can even get started for free and list up to 3 items. Have more stuff to list? They have several different membership options available that range from $15 to $36 per month. ShareGrid operates in a similar fashion. List your gear, respond to requests, meet and greet the interested parties, then collect your cash when the rental is complete. You set your own prices, and how much you can earn depends on the type and amount of gear that you have. Handbag: I’m guessing that most women have more than one handbag. So what do you do with your ‘extras’ when they’re not in use? Why, rent them out, of course! 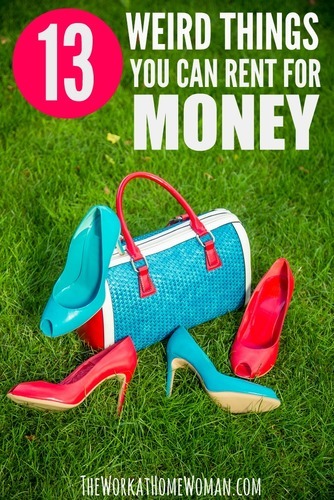 With a site called Handbag Rental if you’re in the UK, you can share your bags for cash! There is a monthly membership fee to join, but upon doing so you can both list your bags for rent or reserve one to rent for yourself. Driveway: It’s becoming quite popular in bigger cities, especially if you live in an area where parking is an issue or close to downtown, an event center, or popular tourist destination. Just Park and Park on My Drive are both sites you can use to list your driveway for rent if you reside in the UK. If you’re in the US, check out SpotPog. 1000 Tools lets you make money renting out your tools. You decide who rents and set the price, availability, and security deposit amount. Camping Gear: Even if you use your camping gear on a regular basis, it likely still spends a lot of time sitting on the shelf in your garage. Gear Commons gives you a place to list your gear for rent and earn some dough when it’s not in use. You can list everything from sleeping bags, backpacks and tents to kayaks, bikes, and safety equipment. You set your prices and choose who you want to rent to. General Goodies: You can actually rent out almost anything: Cars, apparel, sporting goods, electronics, appliances … you name it, it’s probably for rent somewhere. On sites like Loanables you can list pretty much whatever you own that you think others might have an interest in. It’s free to create an account, and loaners can be expected to pay a simple 10% transaction fee on completed transactions. 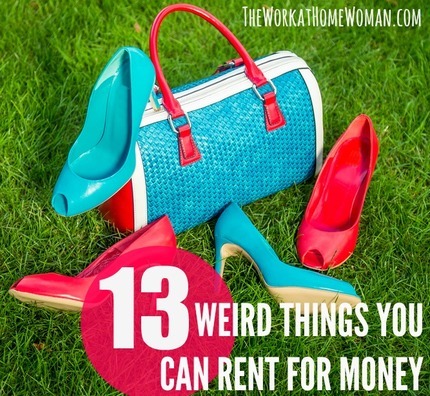 Well there you have it, 13 weird things you can rent for money. Can you come up with anything we missed? Let us know in the comments below. Kimi Clark is a career stay at home mom turned writer and blogger for hire with a passion for business. 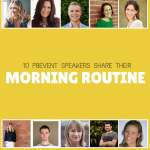 She specializes in posts about writing, blogging and entrepreneurship, as well as all things parenting and motherhood. Owner Founder of The Mom Shopping Network, you’ll find her there writing, hosting giveaways, and supporting moms in both their business and motherhood journey. She’s also a devoted wife and mother of four who loves the beach and her early morning coffee.